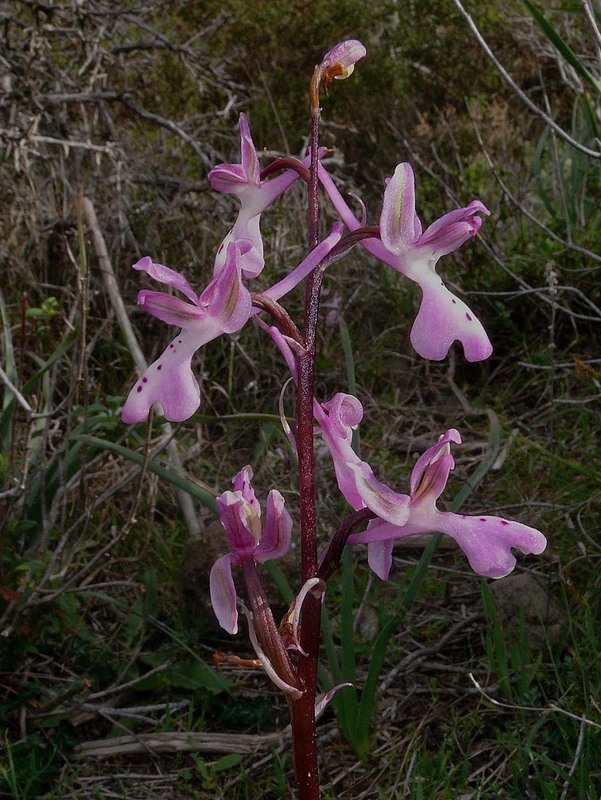 As its name suggests this species was first described by Renz from the Troodos mountains of central Cyprus in 1929. 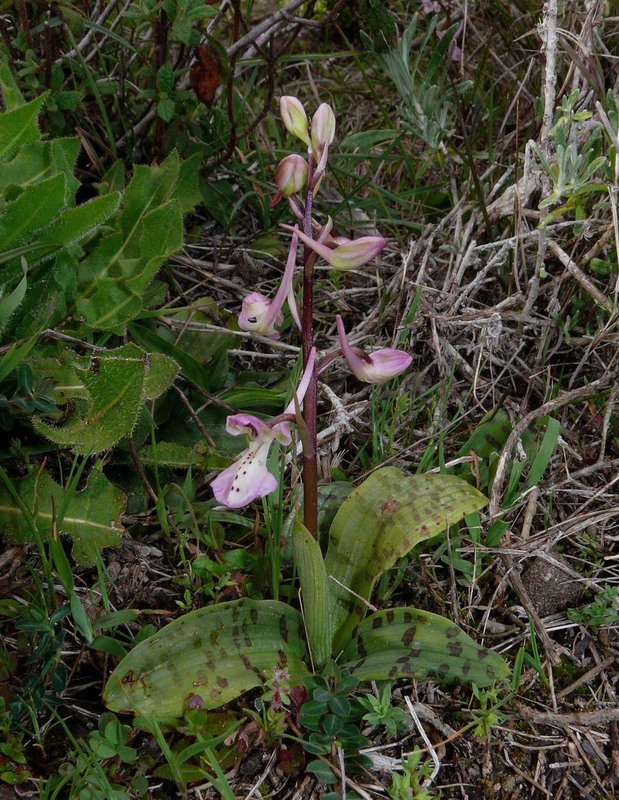 Its true status is a matter of considerable debate amongst orchidologists and opinions vary widely as to whether O. troodi is a species in its own right or simply a variety of the similar O. anatolica. 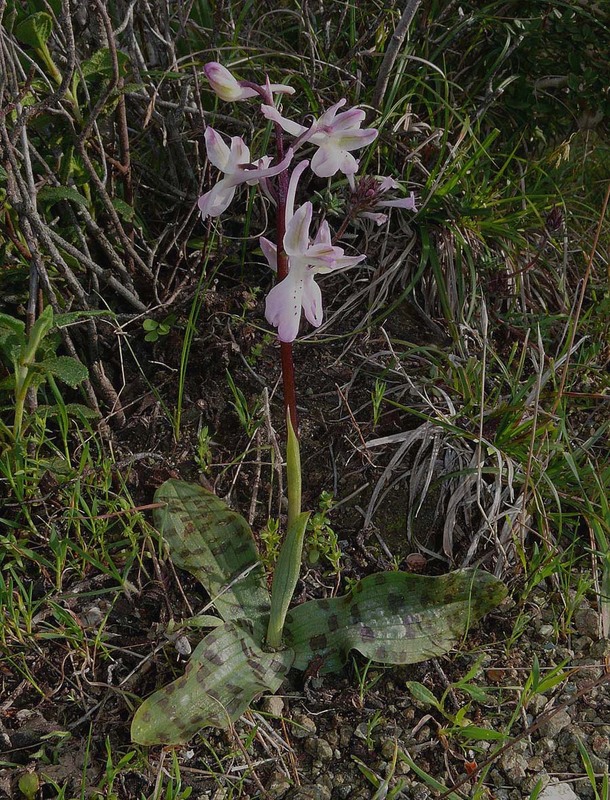 It cannot even be agreed yet that the two species are present on Cyprus with several acknowledged botanists believing that O. troodi is the only representative on the island. The reality of the situation has yet to be determined and we wait to see whether the splitters or the lumpers prevail ! 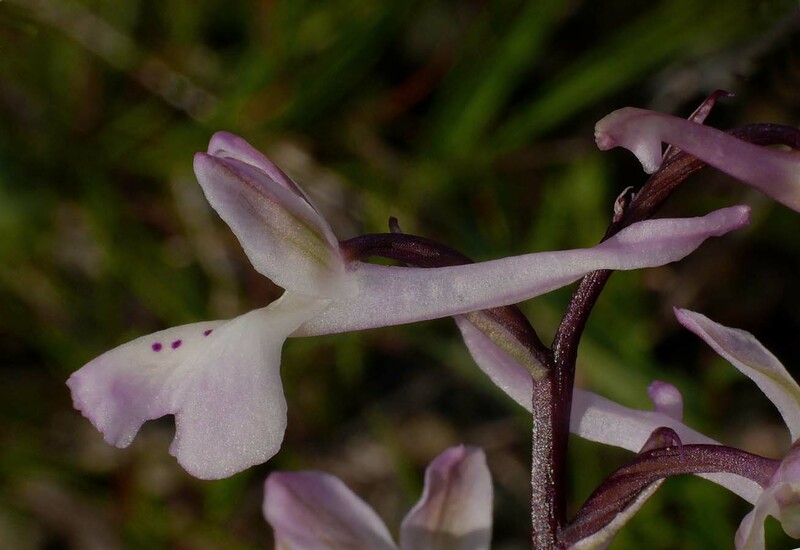 For the purposes of this description however we will follow the Delforge view that O. troodi is indeed a distinct species, endemic to Cyprus and that it grows there together with its relative, the very similar O. anatolica. 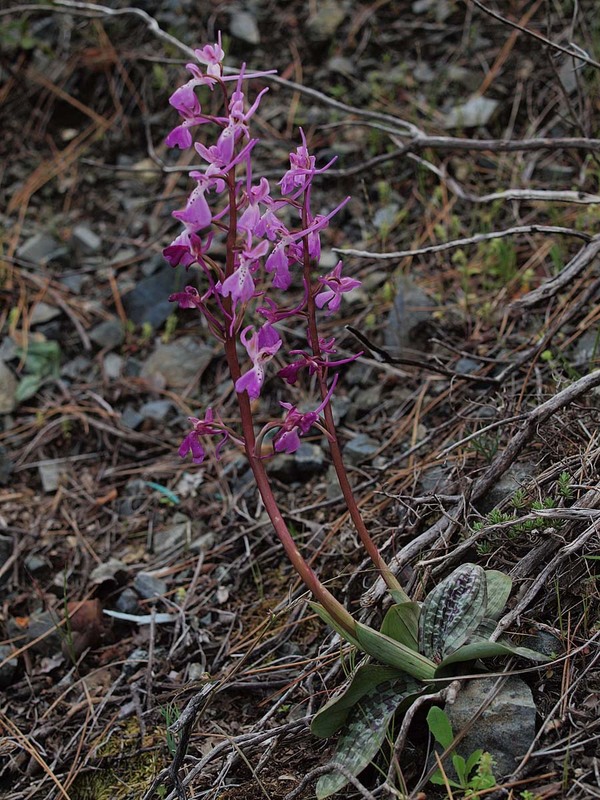 This species is at its most frequent in the high Troodos mountains where it starts flowering in early April. At lower altitudes (where it much rarer) it can be found as early as late February. The pictures are from the relatively low lying hills of the Akamas peninsula, dating from the first week of March. 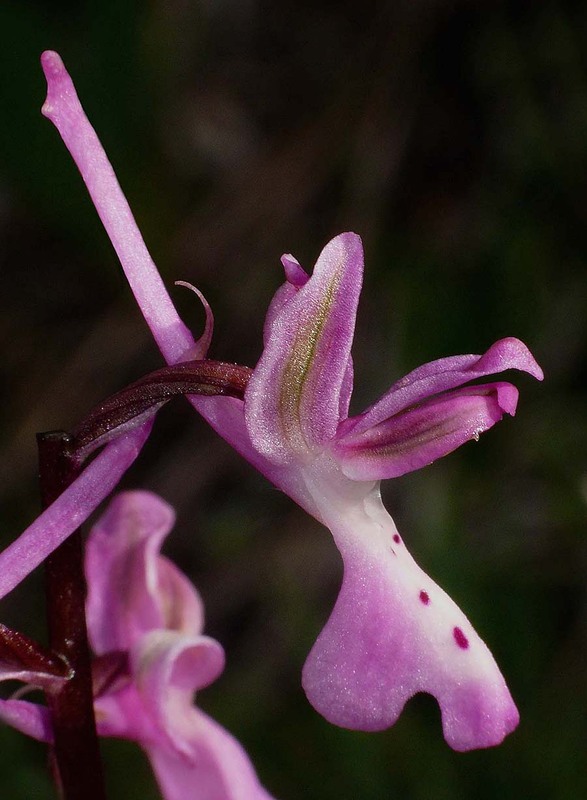 O. troodi may be separated from O. anatolica in two main ways. 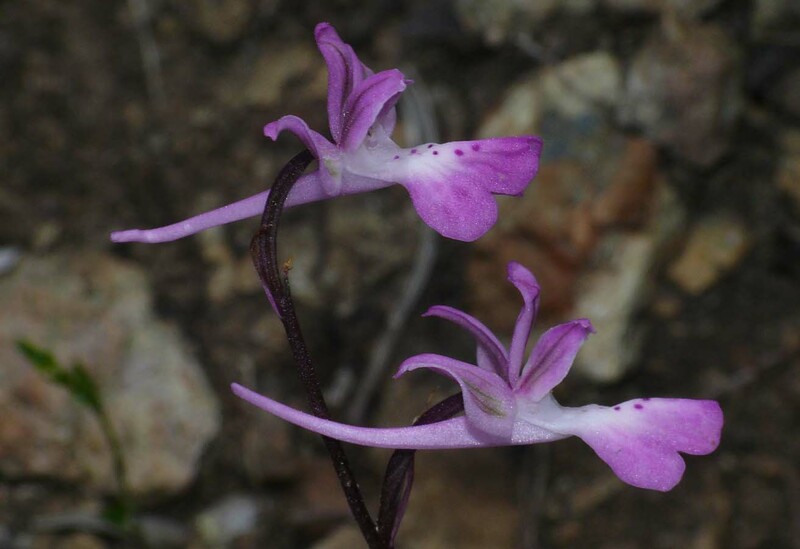 The first is habitat with the former species confined to the more mountainous parts of the island, primarily in the Troodos and higher areas of the Akamas peninsula (usually on more acidic substrates). 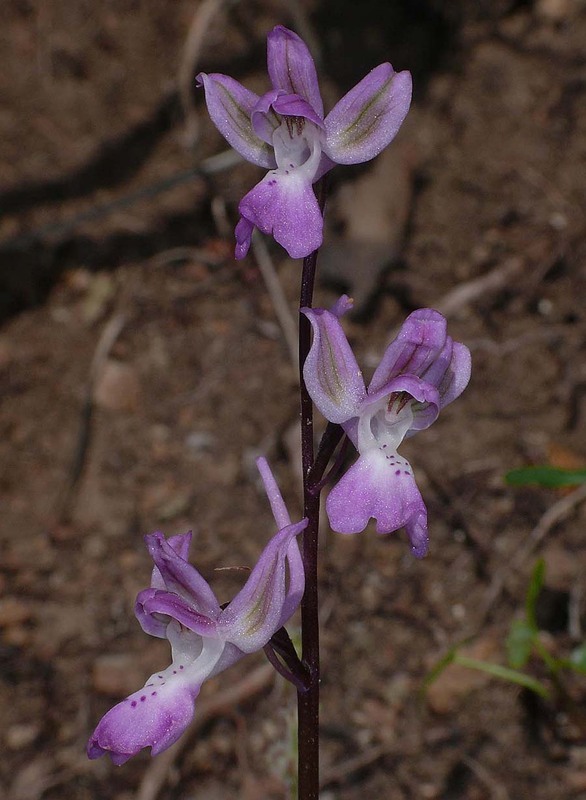 The second difference is in size, with the former plant being a significantly more robust orchid, carrying larger and longer flowers in a generally looser inflorescence . An additional (though not certain) diagnostic feature is the colour of the flowers where O. troodi is usually a paler pink with more extensive white marking.